If you're still trying to catch Mew, you're still working on catching Ditto. Good news: Now the new mythical Meltan form can help you out! Ditto is a Pokémon who can transform — essentially take on the appearance and attributes of other Pokémon. Although missing from the original release of Pokémon Go Gen 1, Ditto eventually found its way out into the world, hiding as Pidgy, Ratatta, Zubat, and Magikarp. With Gen 2, Ditto also learned to hide as Sentra, Yanma, and Hoothoot, and Gen 3, as Zigzagoon and Taillow. Then, when Shiny Magikarp appeared, Ditto Magikarp disappeared. Now, just as Ditto has become a prerequisite for finding the mythical Mew, Ditto has added Ghastly, Whismur, Gulpin, Mankey, and Remoraid to its repertoire as well, and now Meltan as well. Thanks to the arrival of Shiny Pidget and Ratatta, which means they can no longer be Ditto in disguised — because anyone catching a Shiny only to see it turn into a non-Shiny Ditto would be super sad/mad — Pokémon Go has swapped them out for Venonaut and Ledyba. So, make sure you keep checking Pidget and Ratatta for the chance at a Shiny but now also check Ledyba and Venonat for a chance at a Ditto. What's Ditto and why do you want it? Ditto has been known to disguise itself as other Pokémon, so keep an eye out, some Pokémon may actually be Ditto, and when you capture them, there's a chance that Ditto will reveal itself. If you do encounter a Pokémon that is Ditto in disguise, the Pokémon in that specific encounter will also reveal itself as Ditto for other Trainers. And now you also need Ditto to find Mew? Yes, as part of the spring 2018 research update, Pokémon Go added a Mythical Discovery quest. One of the tasks of the 5th part is catching a Ditto. You need do that before you can advance on and find — and try to catch — Mew. So Ditto hides as other Pokémon? Yup! Ditto can transform into other Pokémon and, so far, he's only being encountered in the wild in his transformed state. That means you can't see Ditto on Nearby or Sightings, and you won't know if he's spawned right next to you until you catch him. It's only then you'll be greeted with an "Oh?" instead of a "Gotcha!" and he'll be revealed as Ditto. So, you gotta catch 'em all. Literally. Because any one of them could be Ditto. In terms of game mechanics, how that seems to work is anytime you catch what could be a Ditto in disguise, the Pokémon Go servers randomly determine if it's secretly a Ditto or not. So, until it's caught, it's not a Ditto and can't be detected as a Ditto at all. Once it's caught and is determined to be a Ditto, anyone who catches the same Pokémon will also have it revealed to be a Ditto. Schrodinger's Pokemon, do be sure! Which Gen 1 Pokémon can be Ditto in disguise? Wait, no more Ditton hiding as Magikarp, Pidget, or Rattata? No, not since Shiny Magikarp came out and the reaction to losing a Shiny Karp to a non-Shiny Ditto was... extreme. Pokémon Go fixed it in days by telling Ditto it could no longer hide in Magikarp. The same has now happened to Pidget and Rattata thanks to their Shiny versions becoming available. Which Gen 2 Pokémon can be Ditto in disguise? Which Gen 3 Pokémon can be Ditto in disguise? Ugh, so you really have to catch a bunch of commons? Yeah, but remember, you can use many of them to grind out XP so even if they aren't Ditto. So, it's not time/effort completely wasted. Is there any way to speed up the Ditto catching process? Yes. Crowd-source it. If you're already part of a local Pokémon Go community on Discord, Facebook Messenger, WhatsApp, Slack, or a similar service, for example, for organizing Raids, ask everyone to post their Ditto encounters so you can try to get to one live. You may want to make a separate group or room for Ditto hunting so you don't spam players who already have Ditto, but as long as it's local, it should increase your chances. How do I catch Ditto when I find it? Since Ditto hides as common Pokémon, you catch it in the same way. Some common Pokémon are harder to catch than you'd expect — thanks, Pokémon Go! — especially if they're low stat (IV) and high level. That's where the CP looks low but they're a huge pain to catch. Ditto tends to fall into that category as well. The usual rules apply, though. Always go for curveballs, and stack as many bonuses as you can and have at them! How to stack bonuses to catch tough Pokémon in Pokémon Go! Where can I catch Ditto? Ditto doesn't have nests or spawn points, per se, but the Pokémon that could be Ditto in disguise certainly do. Some areas, including PokéStops, Gyms, parking lots, malls, etc. have spawn points where multiple Pokémon appear at once and most of them are the really common kind. That's perfect for Ditto. I caught my first Ditto in the parking lot of a McDonald's. I've caught others at spawn points on street corners and food courts. If you see two Rattata or a couple of Pidgey, you can catch them all and play the odds on getting a Ditto. Can I get Ditto with Incense and Lures? The second Ditto I caught was from Incense, and so were the next four or so as well. 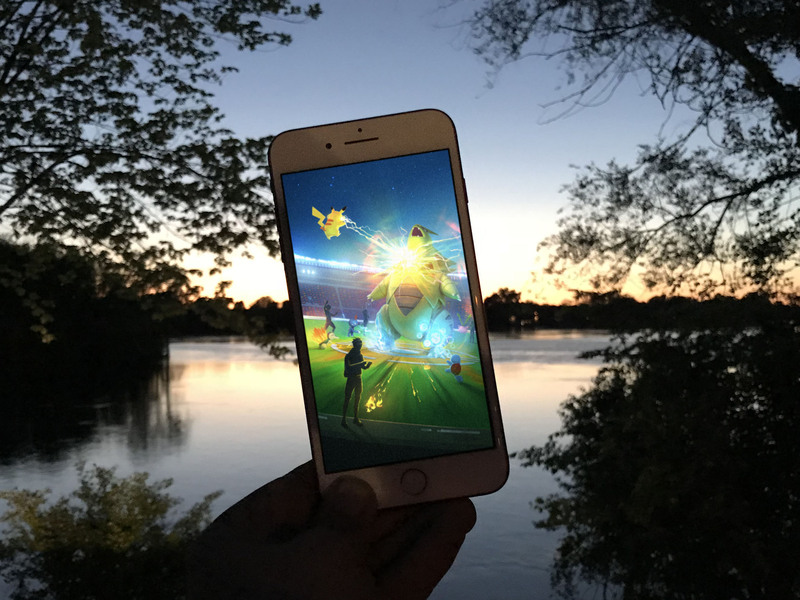 Lures also work. That means you can drop one or the other and, instead of focusing on a rare, focus on the four to six commons that appear. Catch those and hope for the best. So, if you have a favorite route or favorite place to hang, drop some Incense or a Lure and, fingers crossed, let Ditto come to you. Is Ditto random or can everyone catch him? If you catch a Gulpin and it turns out to be Ditto, anyone else who catches that Gulpin will also see it transform into Ditto. In other words, once a Pokémon is revealed as Ditto, it's consistently Ditto for everyone. So, if you're playing as a family or are out in a group and one of you catches Ditto, let everyone else know and you'll all get Ditto. Dividing and conquering is a great way to churn through a lot of low-level spawns at once as well. Can I catch Ditto with the Pokémon Go Plus? Yes, absolutely! It'll try to catch Ditto just like it would the Pokémon Ditto's pretending to be. Catch that Pokémon and you've caught Ditto. But remember, Pokémon Go Plus only throws normal Poké Balls, so there's also a chance the Pokémon will run and you'll never know whether or not it was a Ditto. How does Ditto work in Gyms and Raids? Ditto only has one moveset: Transform and Struggle. Transform does zero damage but, instead, immediately changes Ditto in the same Pokémon he's fighting. That's true whether he's defending a Gym or attacking it, for training or for taking down. He also takes on the attributes of the Pokémon he's mimicking, though there are some reports that his exact CP will vary based on his level rather than the level of the Pokémon he's copying. And, of course, a Ditto transforming into another Ditto stays the same. Hopefully, you'll read this and then go catch yourself a Ditto or dozen. If you have any questions about catching the little purple blob, though, drop them in the comments below!